Jeff Koons started out casting huge, flamboyant animals and tulips, but swiftly took a sordid turn for the saucy by casting himself shagging his Italian pornstar lover in a series of rude works, until she left him. 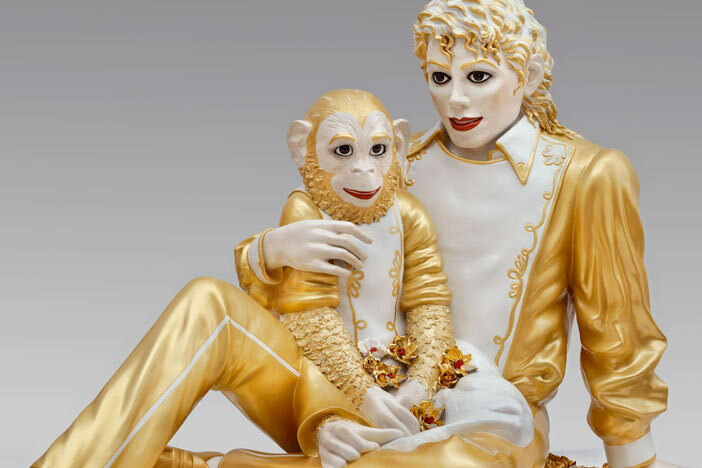 Art critics, unsurprisingly, have frequently dismissed Koons as a bawdy old attention junkie, little dispelled by a vast gold version of Michael Jackson and Bubbles and the alcohol-devoted Luxury & Degradation series. Smutty, silly, kitsch, depraved, lowbrow. Blushing makes you live longer.